My girlfriend and I were in Bellevue a month back and I totally forgot about this place that we’ve visited. Just by its name, I’m sure you can guess by now that this is a Vietnamese restaurant. After a day of shopping, we were just exhausted and there are at times we just want a comforting meal without shattering our wallets. 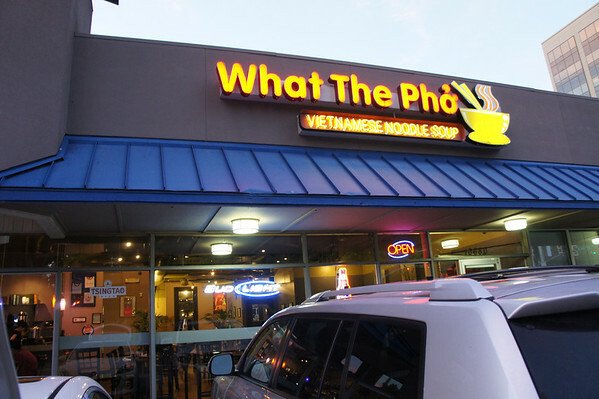 After driving around the area, we found “What The Pho”. It’s not my first time passing by this restaurant, but it is my first visiting it. It was at least 8PM, and we just wanted to eat. The restaurant was pretty empty with only a few tables occupied. 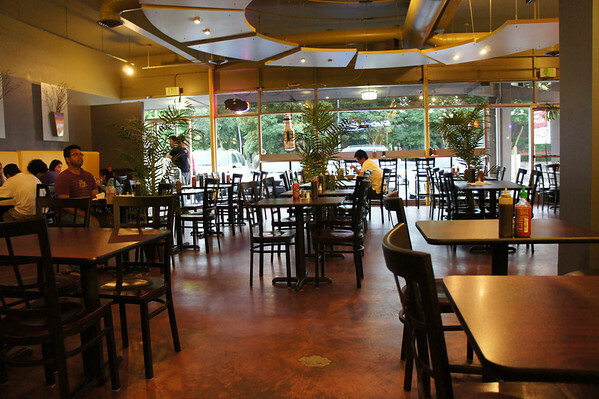 It was a typical pho restaurant, it was modernly decorated and semi-clean. My girlfriend had their #19, small. Mine was the #14, small with extra meatballs. 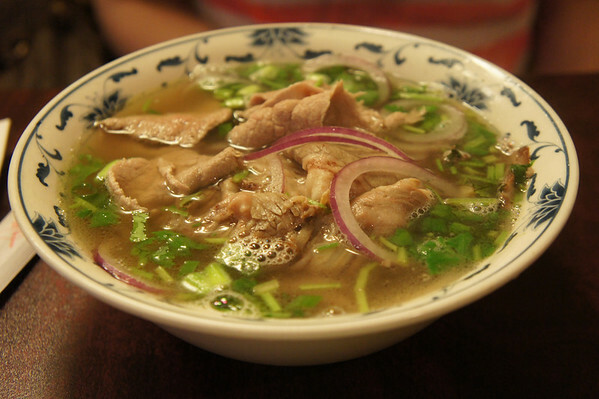 Not bad for a USA Pho, there was a decent amount of meat and noodles. The soup broth could be a little hotter and I noticed it does taste a little different than the broth we have in Vancouver. 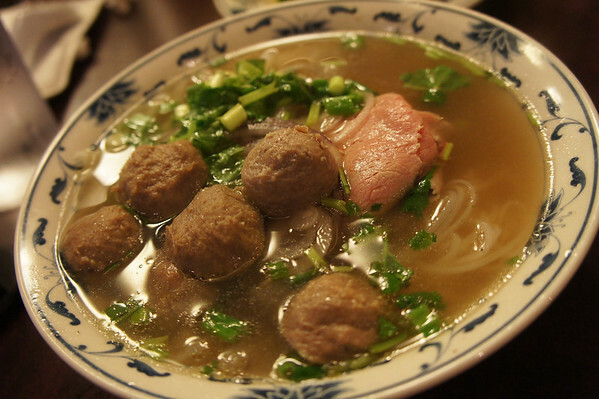 Otherwise, it’s a typical pho restaurant in Vancouver. All that for just under $20 for dinner! It’s a real deal. 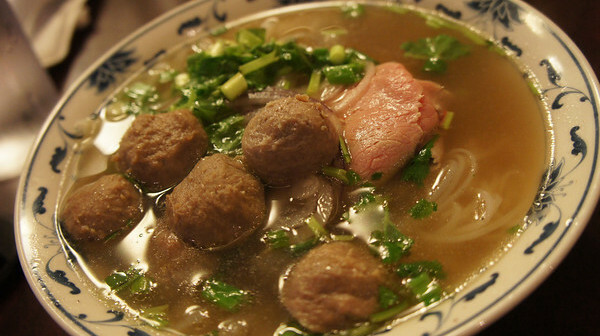 It’s not “high” quality food, but just another choice for comfort food. And it wouldn’t take a bite out of your wallet. 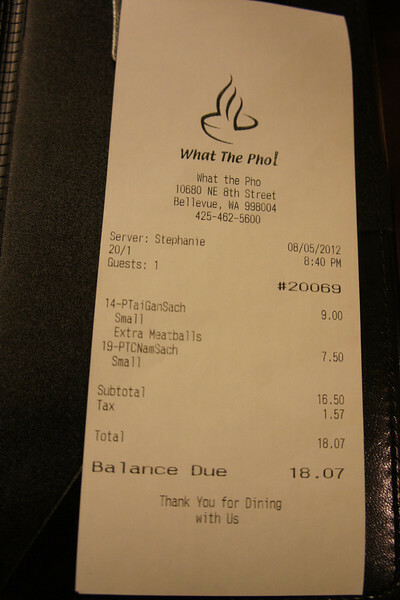 I think this might be one of the cheaper restaurants in Bellevue’s wealthy district.